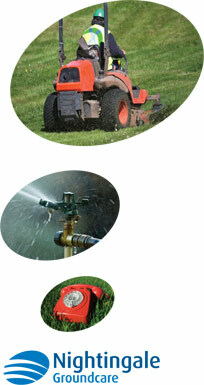 Looking for landscape gardening services in Southampton? The land that surrounds your property can tell a story in an instant. Your visitors won't want to see any dilapidation or weary plants, but will instead want to be greeted with green grass, vibrant plants and a litter free lawn. If you want to take care of your lawn and hand over the duties to the professionals, we are here to help. Here at Nightingale Ground Care we will always take the time to understand your exact requirements and how we can help you. We pride ourselves on our first class customer service and will do all we can to support you from start to finish. Not only are our rates incredibly competitive and affordable, but we are always willing to go the extra mile for you. For a service that is professional, affordable and reliable, choose Nightingale Ground Care today. You can learn more about our services and how we operate by taking a look around our website today. If you would like to move forward with using our services, we would like to hear from you. Simply call us on 01794 323606 where we will be happy to help. Alternatively you can reach us by contacting us on the contact form found on our website.